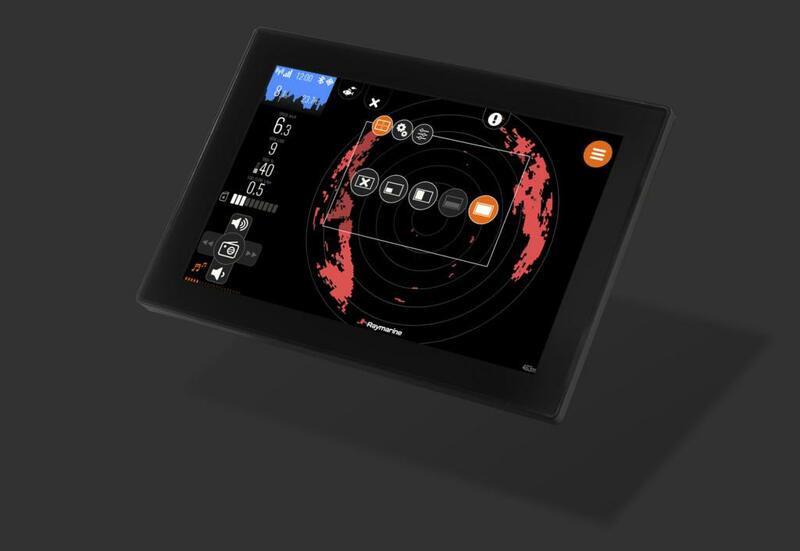 The Q system gets a long-awaited extension today as the Raymarine Quantum radar integration is unveiled at Helsinki International Boat Show Vene 18 Båt. This remarkable radar was a natural choice for Q Experience as it surpasses traditional magnetron radars with its resolution and separation. Raymarine Quantum uses the CHIRP Pulse Compression technology to achieve exceptionally sharp radar imaging on both long and short ranges. The Q system – Raymarine Quantum combination will be first seen in the new Phantom Cabin by Buster Boats. The boat is a powerful luxury commuter and, reaching to almost 10 meters in length, is Buster’s largest boat model so far. 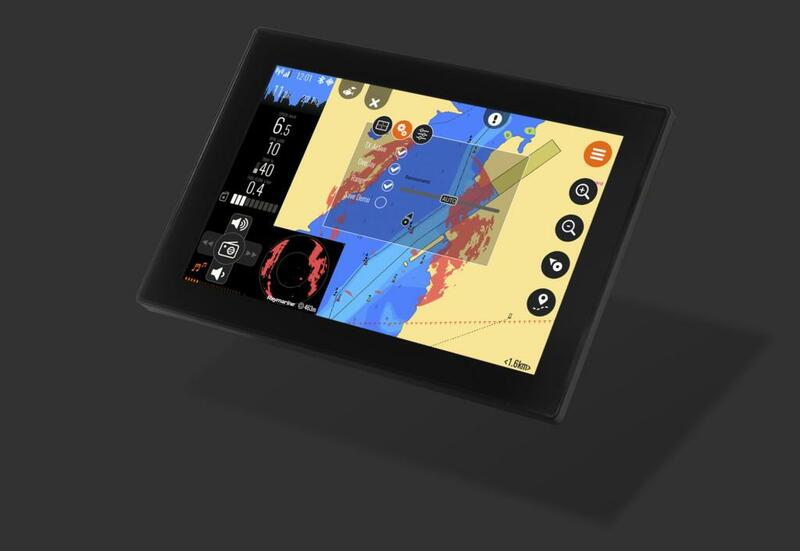 Phantom Cabin has the Q system integrated as BusterQ and features altogether 42 inches of touch screen in 3 waterproof, high resolution Q screens. 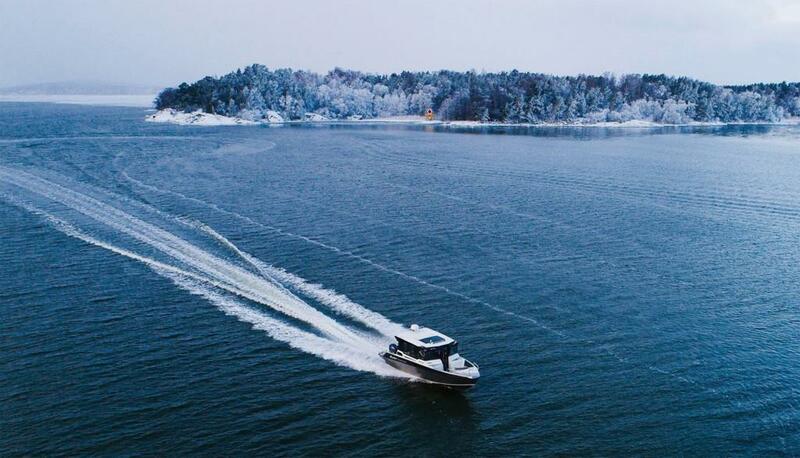 Phantom Cabin was launched 9.2.2018 at the Helsinki International Boat Show. New radar extension will be seen in the Q system’s Map application both as a map overlay option and a separate radar window. Radar feature will only become visible if the boat has a radar installed. In the radar-fitted boats, a radar icon will appear at the top left corner of the map. By tapping on the icon, user can access all radar related functionalities. Radar overlay has been selected over the Map application. 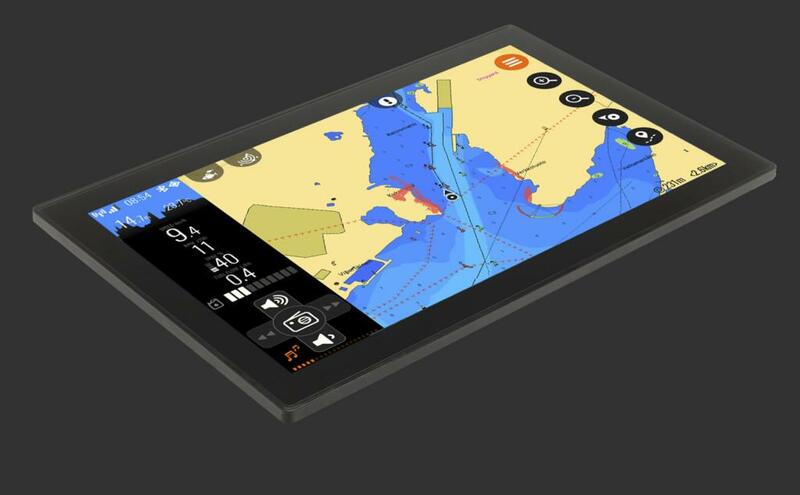 Radar’s functions include four different lay-out options: Corner, Vertical, Horizontal and Full screen, settings like Range and Overlay and adjustments like Color gain and Sea clutter as well as Harbor, Coastal, Offshore and Weather presets. A quick tutorial on how to use radar’s functions can be viewed at Q Experience’s YouTube channel. Radar’s settings opened with the radar window in Map’s bottom left corner. Settings dialogue is partly transparent so that map underneath can still be observed. Radar support isn’t the only new feature in Q’s latest software version. An Audio equalizer is also added to the Settings, and the always visible sidebar has now been made customizable, i.e. users can arrange sidebar’s data according to their own preference. Q’s sidebar normally displays engine data such as Speed and RPM, as well as depth info and shortcut functions. Now user can hide or show certain elements and arrange the values in a preferred order. New software version will be sent to existing Q devices as an Over-the-Air update. This means that to get the new features boat owner only needs to accept the new update when prompted by the Q device. New features and Buster’s Phantom Cabin can be viewed 9. – 18.2. at the Helsinki International Boat Show at BusterBoats’ stand.